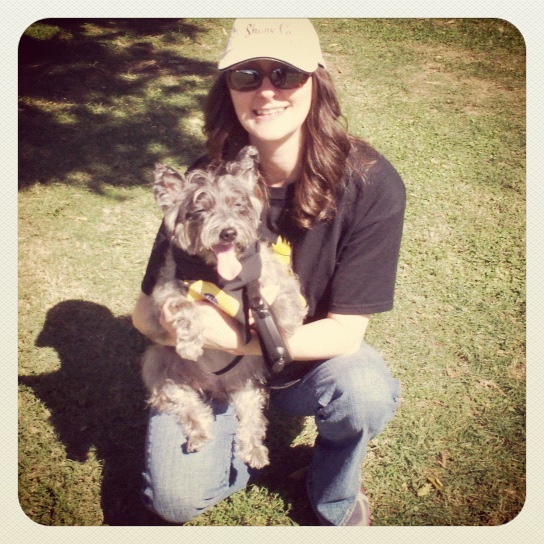 Living & Thriving With Your Senior Dog! There is a love worth barking about and it begins with the loyalty and trust of our most faithful companions…our dogs. Trevor is my Cairn Terrier and spoiled to the max. He is now 68 in human years and we decided to chronicle our life together so far and share it with the world. We will discuss the importance of adopting a rescue dog, great supplements to help your senior dog, and whatever else my boy wants to bark about. We bark from Nashville, TN. Nice to see a blog dedicated to seniors. I adopted my first late last year: he’s 9 years old, deaf, and arthritic…the most easy going dog I’ve every owned! Thank you so much for visiting us today and the super sweet compliment!!!! So glad I found you…Looking forward to reading your blog. Oh, I hope it keeps him as frisky as ever and congrats on the new addition to your family. Have a blessed week!!!! Thanks for checking out my blog! I hope you enjoy reading about my crazy life as a Mama of three boys as much as I enjoyed reading about your doggy love! Awww…thank you for visiting us too!!!! What a treat indeed…I am looking so forward to reading your posts…May you and yours have a wonderful week…Blessings to you!!!! Absolutely!!!! Thank you for following me too!!!! Well that is too cool Lori!!!! Trev and I send woofs and wags to Frodo…what a great name!!!! Senior dogs rock!!!! Pawesome!!!! Thank you and pleasure to meet you!!!! Awww…thank you so much for your sweet compliment!!!! Happy day to you!!!! Thank yo for the follow, Honey and Zed appreciate the company. Welcome to our pack. Well thank you for the warm welcome!!!! Woofs and wags being sent your way!!!! Wow! Thanks for adding me to the “Blogs I Like” section of your blog. I am so honored! I am new to this blogging thing so I apologize if I did not catch it sooner. Very pawesome and you are so very welcome!!!! Blogging is such a blast!!!! Hope your weekend is wonderful!!!! 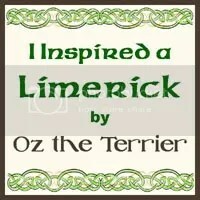 So pawesome…it is so wonderful meeting new buddies in the dog blogosphere!!!! Woofs and wags and a happy week to you!!!! Hello from My Kid Has Paws! You have been one of my most loyal followers, and I would like to thank you for that. If I may, I would like to send your kid with paws some treats! Any dietary restrictions? Why, that would be wonderful!!!! I actually make organic homemade treats for Trev as he has an extremely sensitive tummy!!!! Thank you for thinking of us!!!! Trev would never turn down a treat!!!! Just found your blog and love it. My partner Junior ,a five year old rescued golden retriever, and I are a therapy team . I wrote about our senior dog Max on our post about the Trip Before the Storm on our blog. Max lived every day with grace until he was 15 years old,a long time for aGolden. Junior and I work with several awesome senior dogs enjoying second careers as therapy dogs. We will follow and enjoy more of your posts. So very awesome!!!! It’s such a pleasure to meet you!!!! Thank you for following and we are adding you to our blog roll now…Have a pawesome rest f the week and tons of treats to Junior!!! !